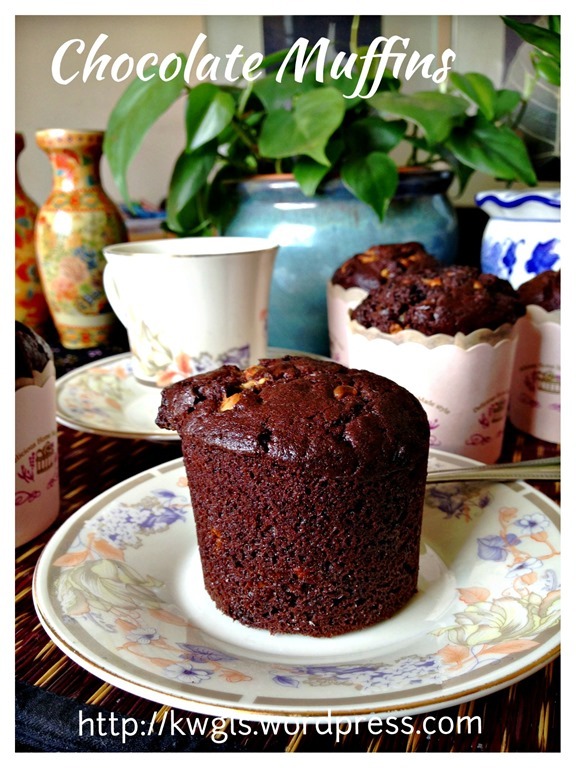 I prepared these simple chocolate muffins for breakfast tomorrow. It is simple, fast and easy to prepare. I have used white chocolate chips to go with the muffins but you can always used the normal chocolate chips. 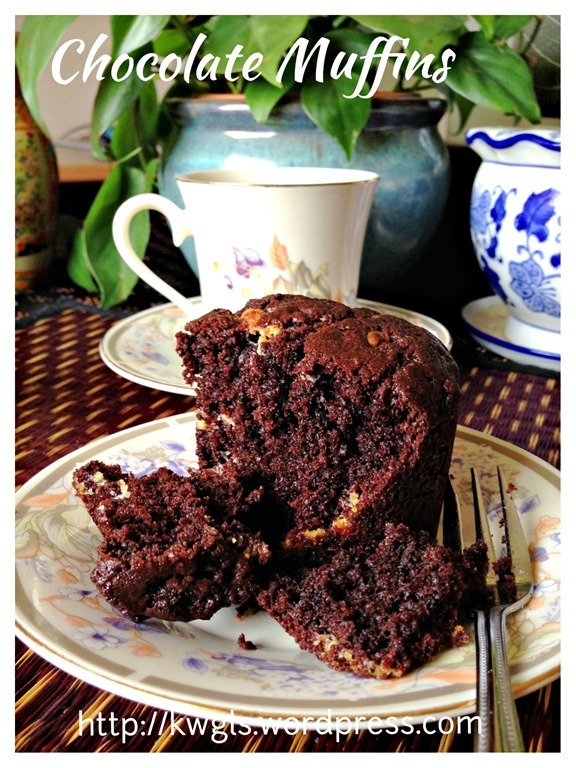 It is moist and goes well with a cup of coffees or tea. Hmmm, really nothing much to write about these muffins. It is my own recipes and I have prepared these many times but never explicitly share it because I thought that it is too simple to share. Pre-heat the oven to 175 degree Celsius. In a big mixing bowl, put in melted butter, eggs, sugar and milk, use a hand whisk to whisk until well combined. Sift in the self raising flour, cocoa powder, baking soda and followed by the white chocolate chips. Use a spoon or spatula to mix the flour as quickly and as lightly as possible. A bit of lumpy batter is acceptable. 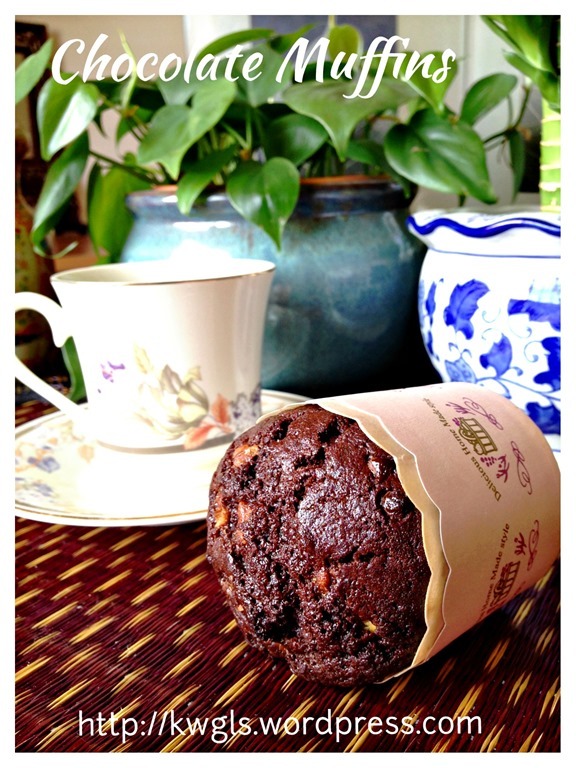 Transfer to the muffin cups (about 80 per cent full). Bake in the pre-heated oven at 175 degree Celsius for 25-30 minutes or until a skewer inserted in the centre of the muffins comes out cleaned. The baking time will very much depends on your muffin size, so the skewer test is still the final test. An easy peasy recipe and happy trying. 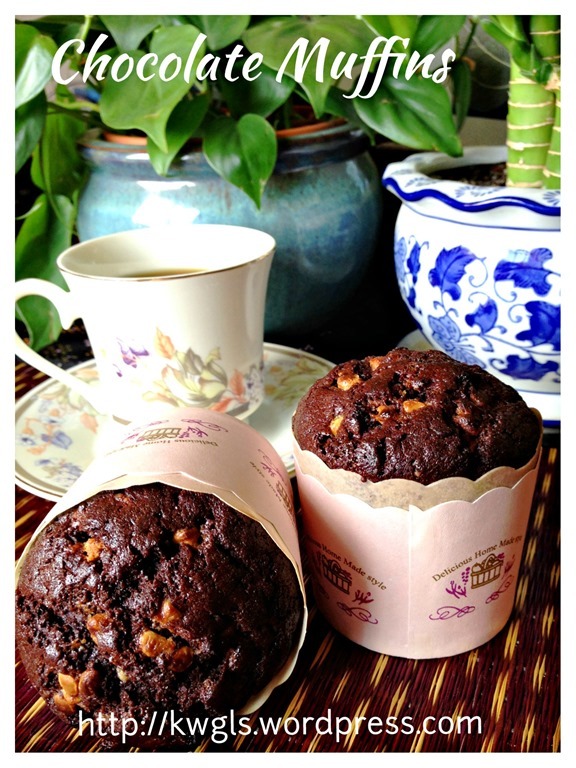 This entry was posted in Cakes and cookies, Food Preparation Series and tagged 8, chocolate muffins, 简易巧克力小松糕, GUAI SHU SHU, Guaishushu, kenneth goh, postaday. Bookmark the permalink. 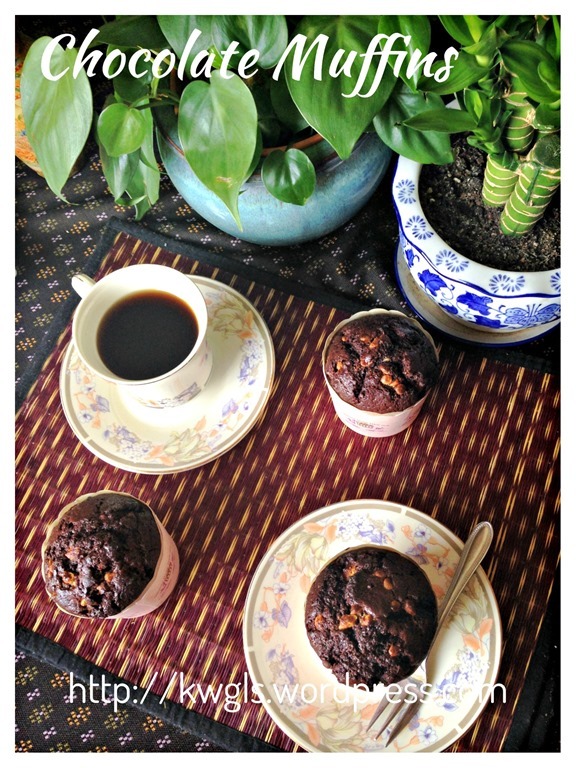 Thank you for sharing this delicious Chocolate muffin recipe with Foodie Friends Friday Party this week. I’ve pinned and shared. Looking forward to seeing you again soon. This looks delicious, Kenneth! So moist and full of flavor! Pinned and I will share on my FB page! 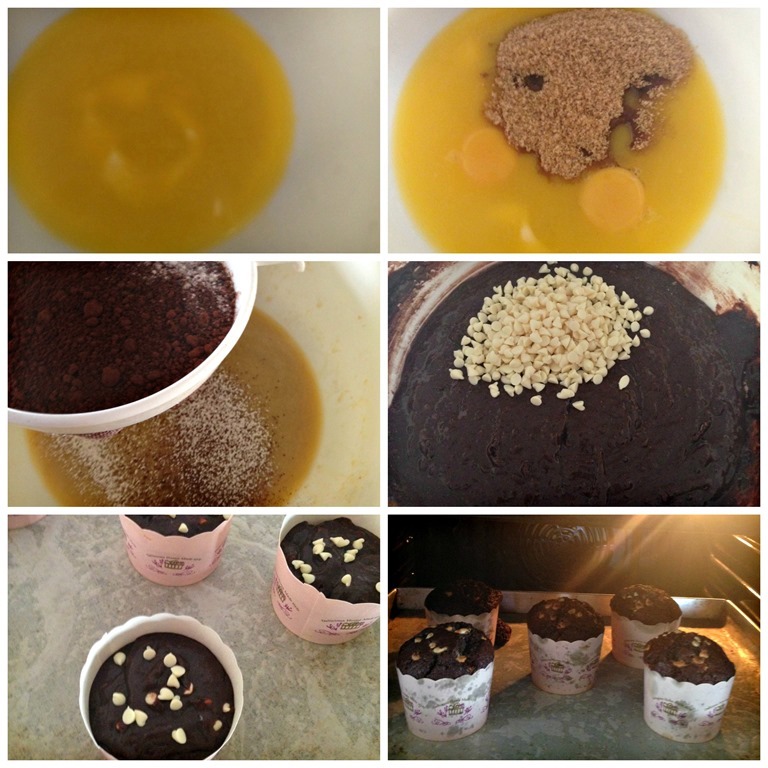 I’m baking it now.. but forgotten to put cocoa powder.. huhu. Haha. Forget the main ingredients! Hmm.. it become Vanilla Chocolate Chips Muffins. But texture not as yours. Maybe I overmixed d batter. 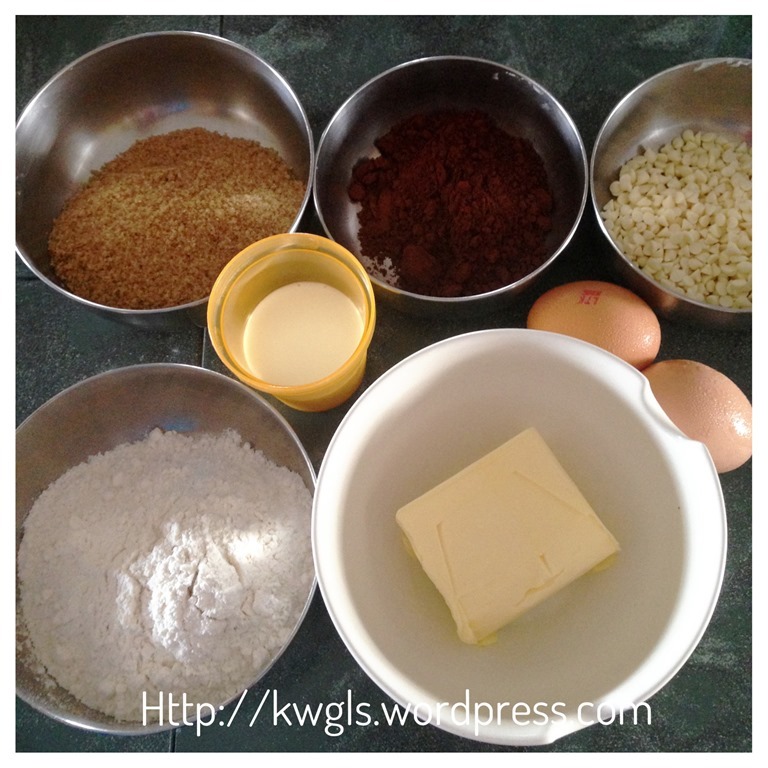 Hi Kenneth, I have try your recipe today. 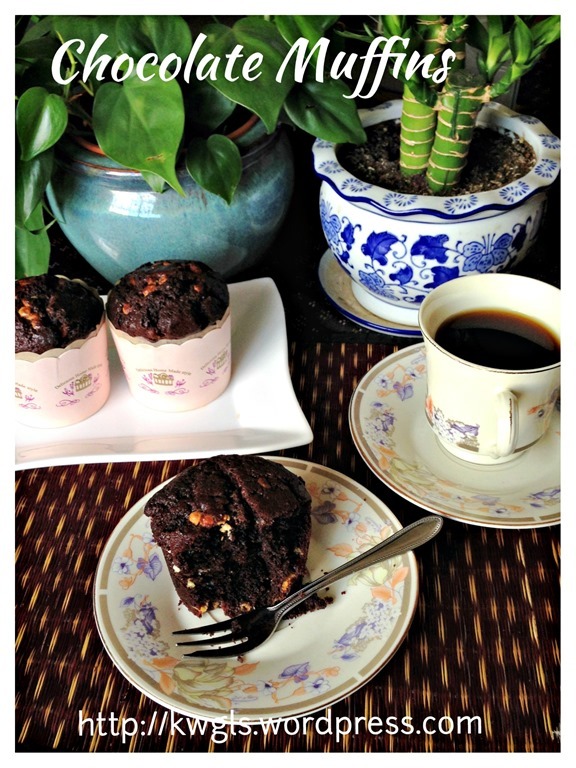 It is yummy….thanks for the great recipe!! So happy that you like it. 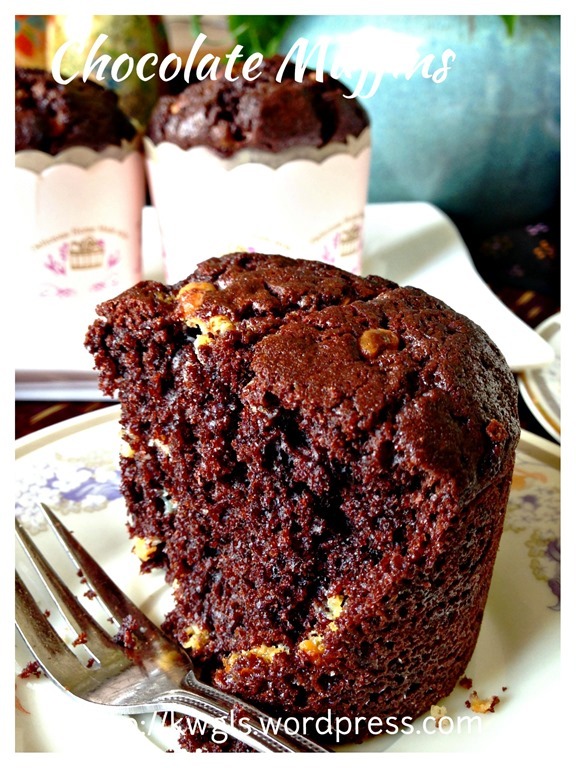 Hihi, I read this moist chocolate muffins receipe, is baked. Can it be steamed and for how many minutes if can basing on the same amount of ingredients? 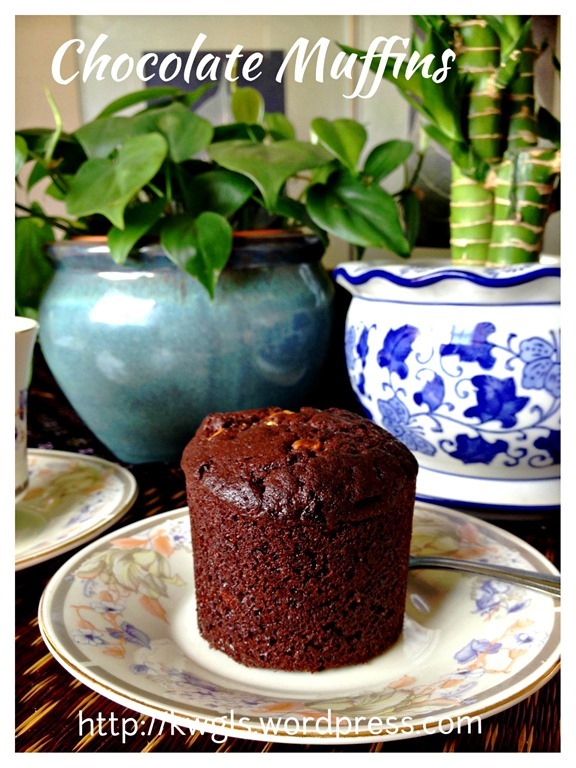 Looking forward to more cakes steaming receipes on your blog. Depending on siz. 15-20 minutes should be more than adequate. I have tried your this receipe by steaming about 30 minutes. I put semi sweetened chocolate chips on top, taste yummy but the chocolate chips becomes soften after steaming. We love it on the whole. Thanks Kenneth, i will try another time with nuts as suggested. How about your blue berry yoghurt muffin can I also do it by steaming. Hi shifu.. Can i ask u for help? 1) my muffins always stick to my liners.. 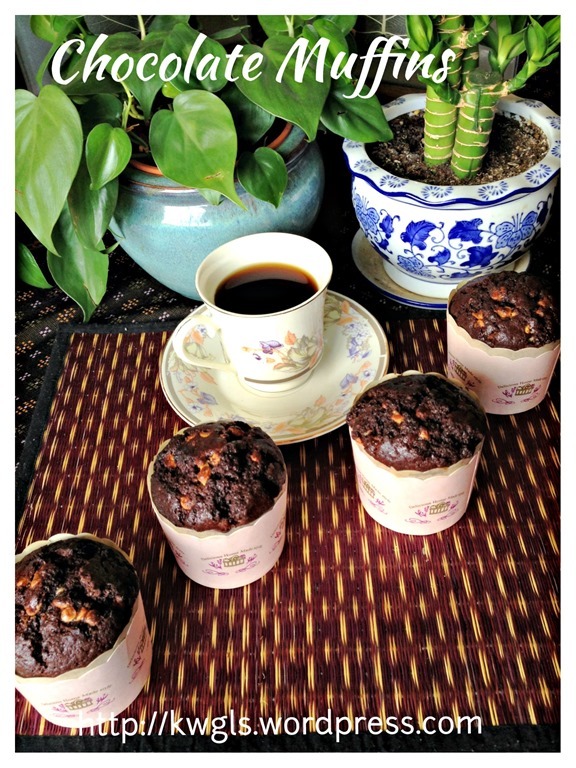 I have tried the thin cheapo liners n also the thicker muffin paper cups.. But they still stick.. More than 1/4 of the muffin is stuck..
2) my muffins r always burnt at the bottom.. I m using an oven toaster n i normally bake at 180degrees.. I have tried using the 2 bar n 1 bar function.. But both also will burn n stick..
Hmm.. But my kitchen has no place for an oven.. My only option is an oven toaster.. Is there anything i can do if i still use the oven toaster to bake? I wil also try to steam as u advised..
Hmm.. But my kitchen has no place for an oven.. My only option is an oven toaster.. Is there anything i can do if i still use the oven toaster to bake? I wil also try to steam like u said..
Hi, can I replaced self raising flour to cake flour or all purpose flour? If yes, how many tsp of baking powder I shld add in? Many Thks. Tried your recipe yesterday. It was very good. I replaced the fresh milk with full cream milk (which is the only alternative @ home). 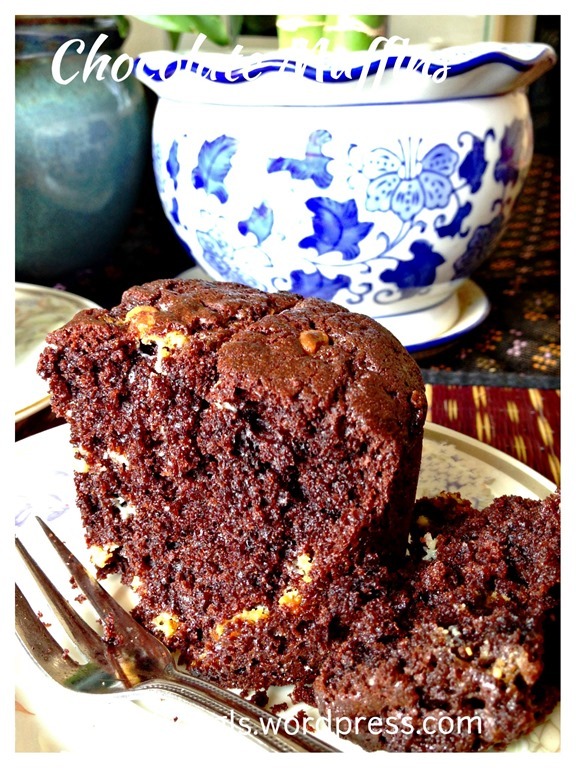 The muffins are moist and the kids love it. Finished all within a day. Thank you for your recipe and generous sharing. Thanks, this is a tested recipe that is very welcoming.